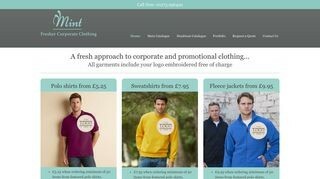 Supplier of logo embroidered/printed workwear. Huge range of clothing available and ready to be customised with your logo. Minimum order 15 items. Brilliant idea for all make it your own unique, personal or funny it's up to you suitable for all age ranges top 4 stars.